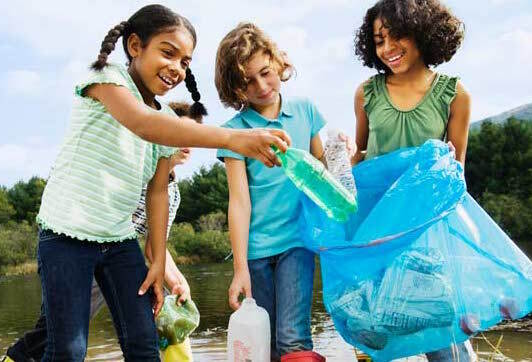 PETCO, the South African PET Recycling company, has just launched a recycling pilot programme at three Kwa-Zulu Natal schools to educate learners about the value of recyclables, with the aim of rolling it out at schools across South Africa later this year. PETCO has partnered with community initiative Litter4Tokens to educate learners around the subject of recycling. The pilot works on a simple reward system, and is running at primary schools RA Padayachee, Ithemba Labasha and Siszani until the end of March 2017. The learners have been asked to fill PETCO-sponsored clear recycling bags with recyclables – such as used milk cartons, jars and cool drink bottles – and in exchange they receive tokens, worth R5, for each bag filled. Learners can then spend these tokens at a specialised token shop at a nearby community centre – Ithemba Labasha Community Centre in Shakashead – which sells necessities like food and clothes. The bags of recyclable material collected by the learners are then bought by campaign partner Dolphin Coast Waste and the money from the sales go back towards stocking the token shop. “We are very excited about this campaign and will be tracking its progress carefully, to ensure a holistic model can be implemented at other schools in South Africa,” says Cheri Scholtz, CEO of PETCO. As part of the campaign, PETCO and Litter4Tokens staff members will spend time at each of the pilot schools speaking to the learners about looking after the natural environment and the importance of recycling.